Want $50.00 Off a New Motorcycle Helmet? Well now you can get it. 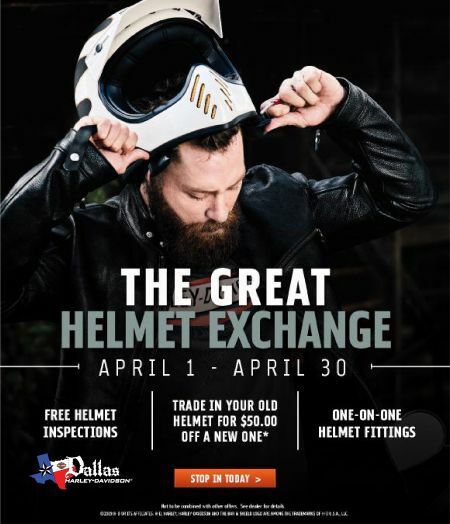 This month bring your old helmet to Dallas Harley-Davidson® in Garland, Texas. Trade in your Helmet for $50.00 off a new one. Also offering free helmet inspections and one-on-one helmet fittings.